You must not make this! This recipe is dangerous if you like sweets like I do, but had to cross out the not because you just have to have this! 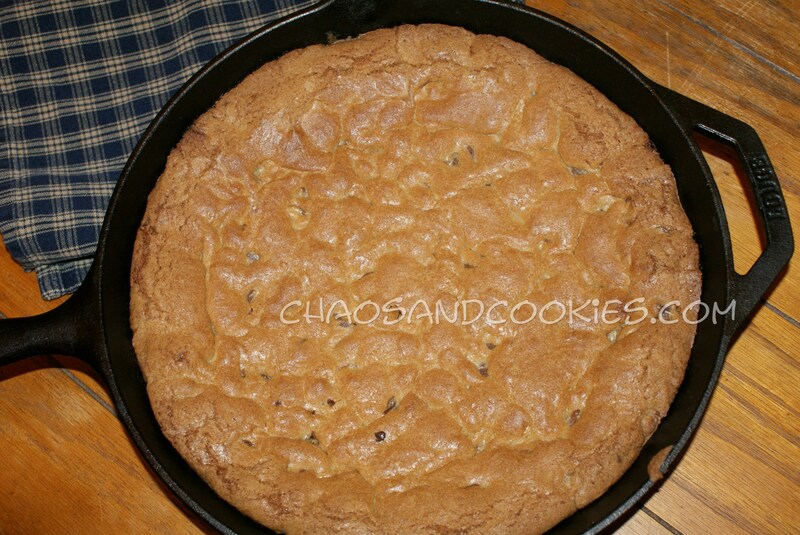 If you like chocolate chip cookies this is, if possible, BETTER! 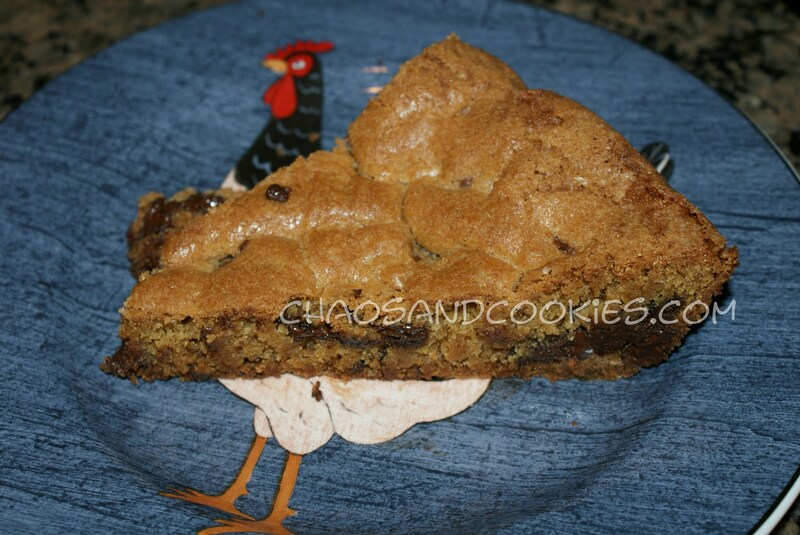 This is easy too, I used the recipe off the back of the Toll house chocolate chip bag, and just slightly modified it, plus I used Kroger jumbo chocolate chips for this one. Here is the recipe! The slight modification I used in this recipe is I added a tsp of baking powder to give it more substance and a better rise and I also added an extra half tsp of vanilla extract. I do not use nuts in mine as their recipe calls for. PREHEAT oven to 375° F. Put your cast iron skillet in the oven while it preheats to warm it. COMBINE flour, baking soda and salt in small bowl. Beat butter, granulated sugar, brown sugar and vanilla extract in large mixer bowl until creamy. Add eggs, one at a time, beating well after each addition. Gradually beat in flour mixture. Stir in morsels. Add the mix to your skillet smoothing out to make sure it covers skillet evenly. BAKE for about a half hour or until golden brown and your test stick comes out clean. 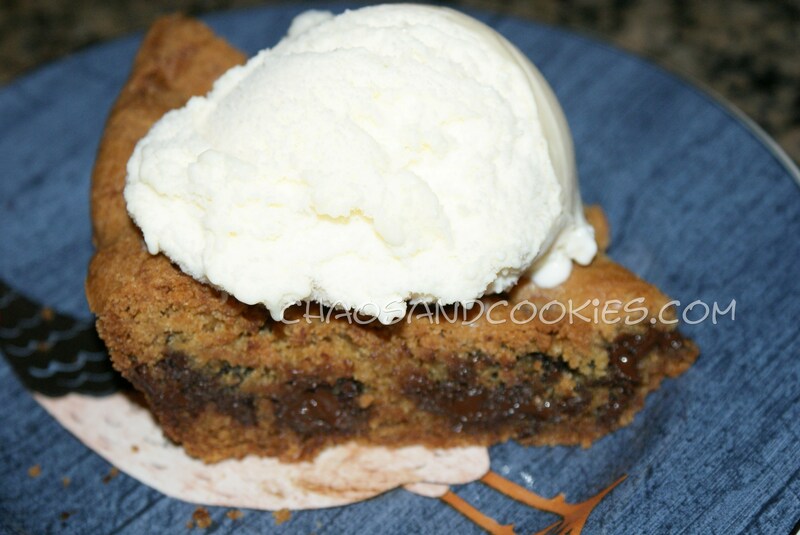 Cool for about a half hour than slice like a pie and serve warm with vanilla ice cream on top! This dessert rocks! This looks like it would be perfect after our dinner this evening! 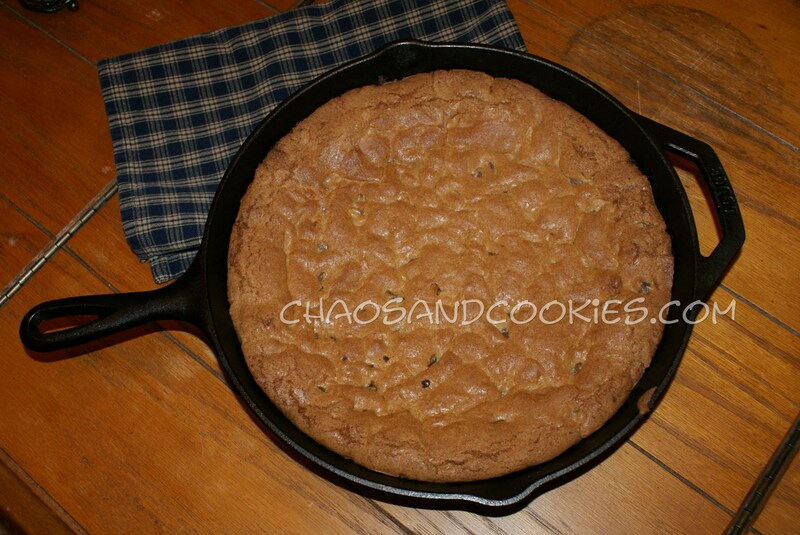 I don’t have a cast iron skillet, do you think my heavy 10-inch Calphalon skillet could stand in it’s place? It may be able too, just heat it up ahead of time before you add the ingredients! I am so in love with my cast iron, I never realized what a difference it makes, wish I had discovered it sooner but better late than never! I just fear dropping it or losing my grip on it with my glass flat top oven! I’m very careful! 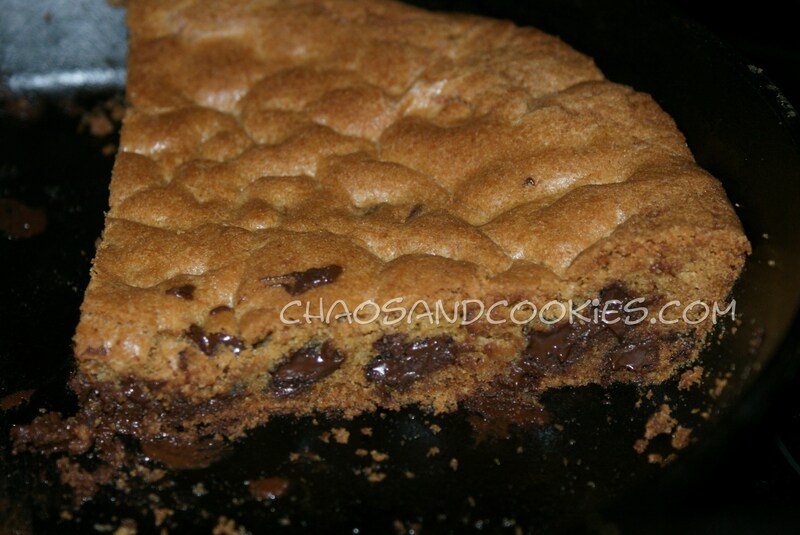 I think the thickness of this cookie pie is what makes it so much better than chocolate cookies alone, and I LOVE chocolate chip cookies! I would give it a try in your pan!